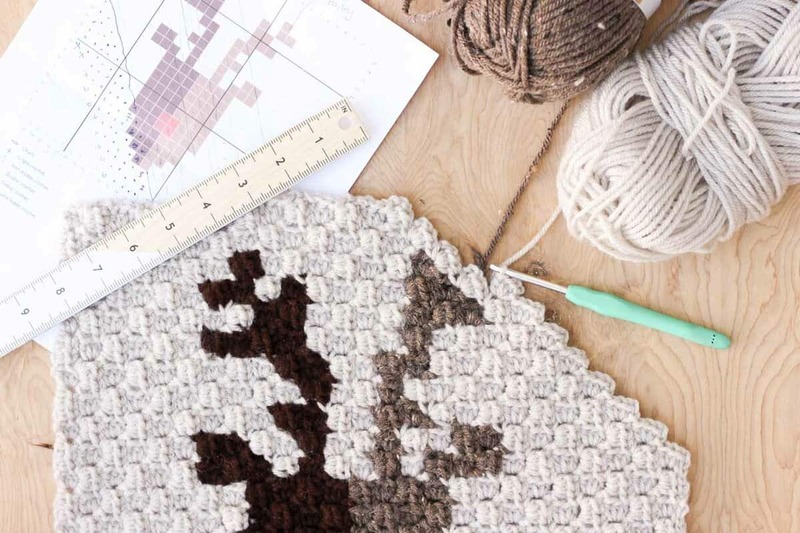 Learn all the essentials of how to corner to corner crochet including c2c increases, c2c decreases and how to read a graphgan chart. 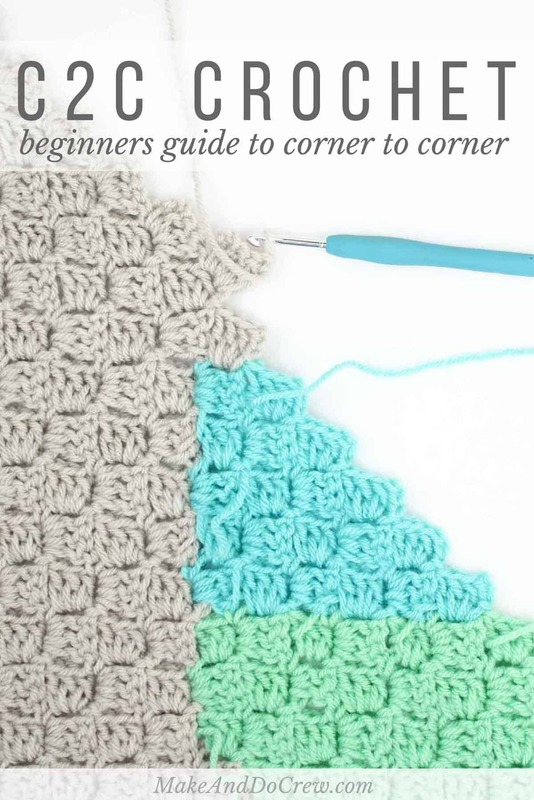 UPDATE: I’ve put together a video tutorial that covers all the basics of how to corner to corner crochet! Check out the photo tutorial below and then head here to watch the video. 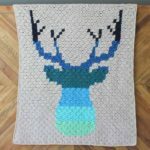 A couple of years ago I stumbled across Sarah from Repeat Crafter Me‘s corner to corner afghan patterns and fell in love with the idea of being able to crochet designs in a totally new way. 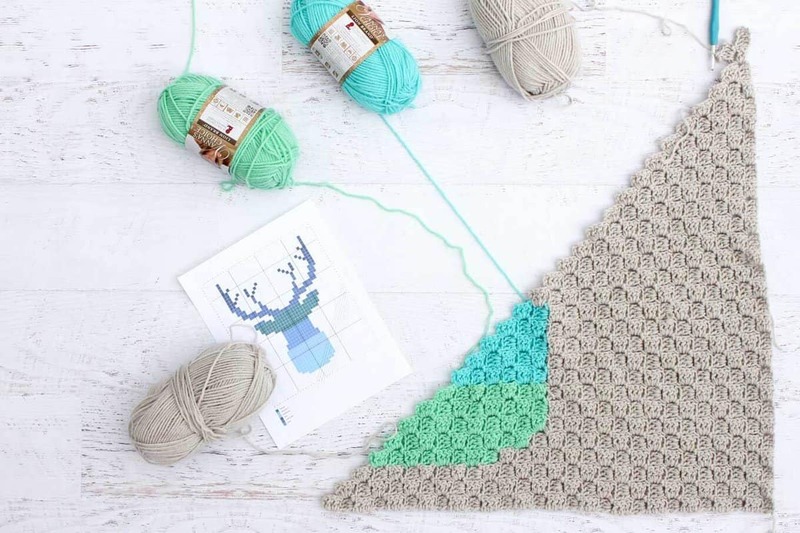 If you’re unfamiliar with c2c crochet, Repeat Crafter Me should be your first stop because Sarah has a site full of corner to corner inspiration. 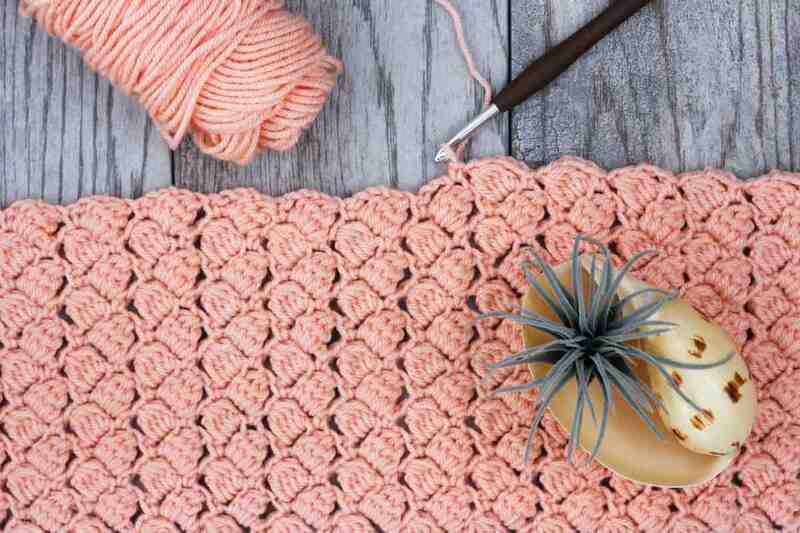 Corner to corner crochet (c2c) is a technique that works just as it sounds–you crochet little “tiles” at a diagonal, increasing each row by one tile until your project is tall and wide enough, at which point you start decreasing each row. 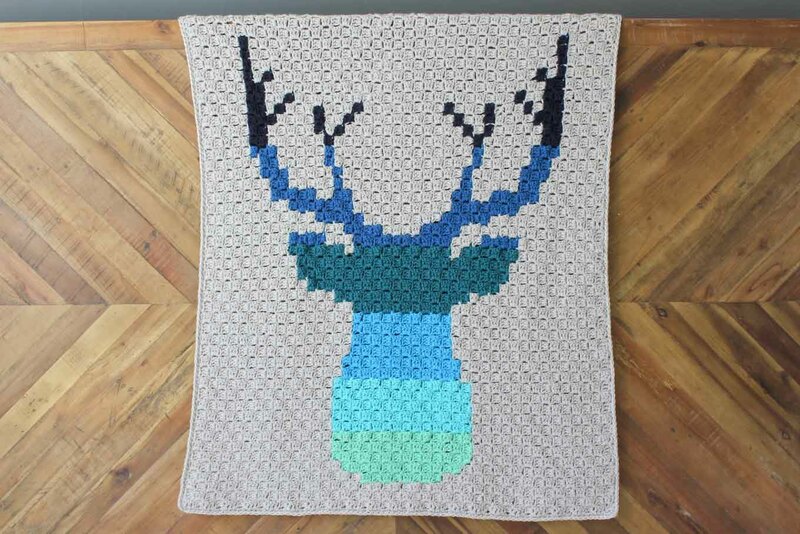 I’ve also used corner to corner crochet to design my Nordic snowflake super scarf and the “Be a Deer” afghan. 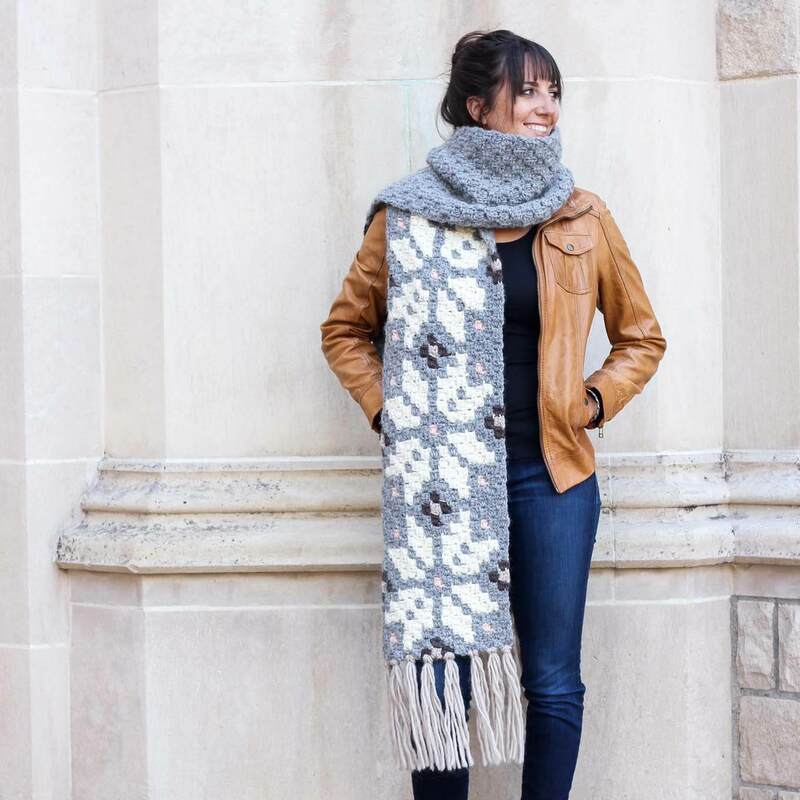 As you can see, c2c is a really versatile crochet technique that opens up a whole new world of design possibilities. 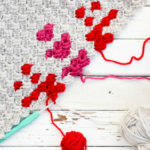 Today, I’d like to show you the basic skills you need to corner to corner crochet, including how to increase, how to decrease and how to read a c2c chart. 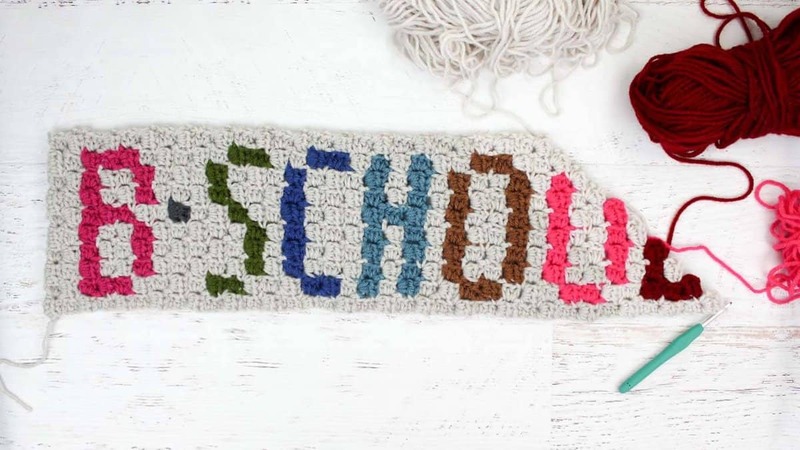 You can learn how to change colors with c2c crochet and how to manage all the different skeins while you’re working in this c2c tutorial post. A quick note on increasing and decreasing: In the first stitch of corner to corner crochet, you’re always increasing or decreasing. There’s no such thing as a regular, non-increase or non-decrease first stitch. Decreasing is simply the term for not increasing any more and therefore not making your project any wider/taller on that edge. Any corner to corner crochet project will always begin with increase rows. You’ll increase by one tile per diagonal row until your desired dimensions are reached and then you’ll begin decreasing. It’s relevant to note that if you’re making a rectangle, like I did in my Nordic super scarf, you might be increasing on one side of the row and decreasing on the other side so as to keep the total number of tiles per row the same. 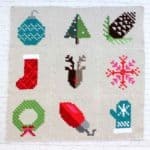 Here is a step-by-step photo tutorial of the c2c increase stitch with more written details below the photos. Watch a video tutorial of these steps here. You’ll work the corner to corner decrease stitch as soon as you’ve reached the widest/tallest point in your graph. 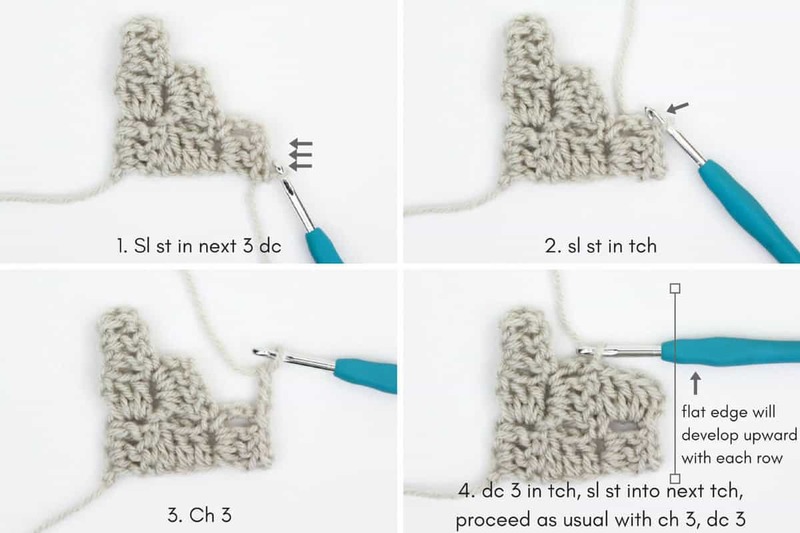 Here is a step-by-step photo tutorial of the c2c decrease stitch with more written details below. (In this example, my desired graph would only be three tiles wide. So when I reached the third tile, I would begin to decrease so as not to make the project any wider.) Watch a video tutorial of these steps here. Step 4: Double crochet 3 in ch-3 turning chain of previous row. 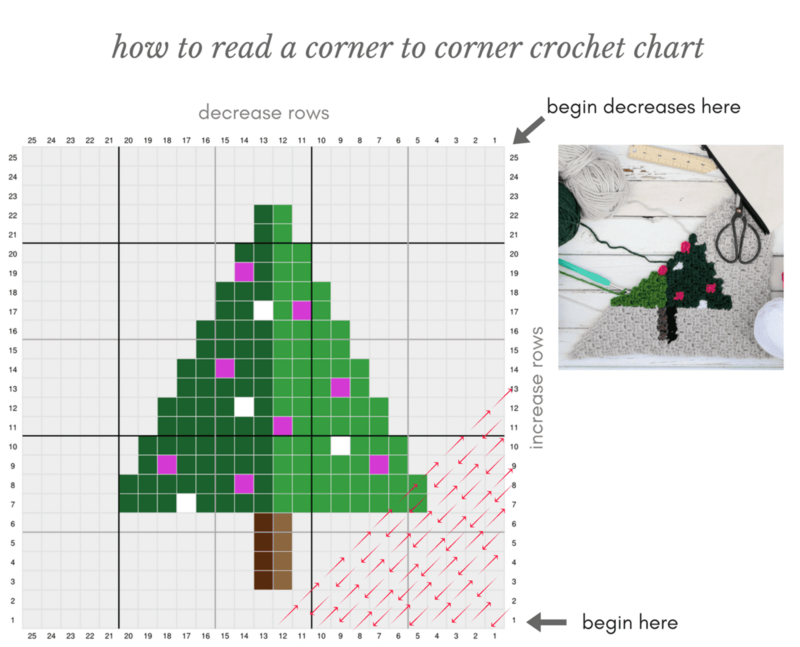 Corner to corner crochet graphs can be used to create words, characters and graphic designs. 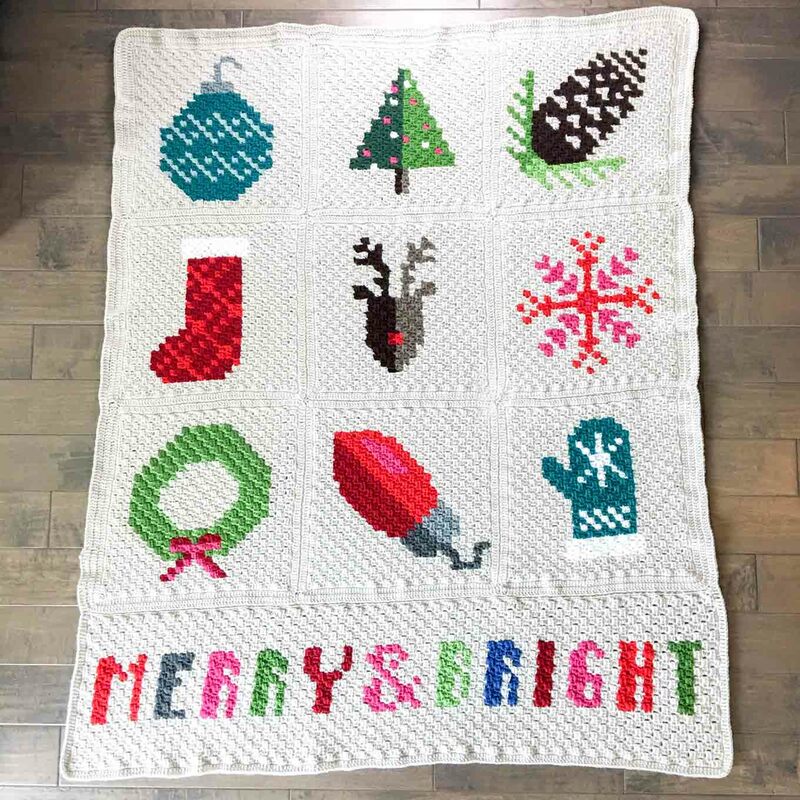 Using StitchFiddle.com, you can even translate a photo into a c2c graph! The increase stitch is worked at the beginning of each row until the longest row in the graph pattern is completed, at which point the decrease stitch is used to start each row. It’s important to note that when working a rectangle graph, there will be a point at which you are increasing at the beginning of every other row and decreasing at the beginning of each of the other rows. This will keep the total number of tiles per row the same. I talk about this a bit more in the How to Corner to Corner Crochet video tutorial. 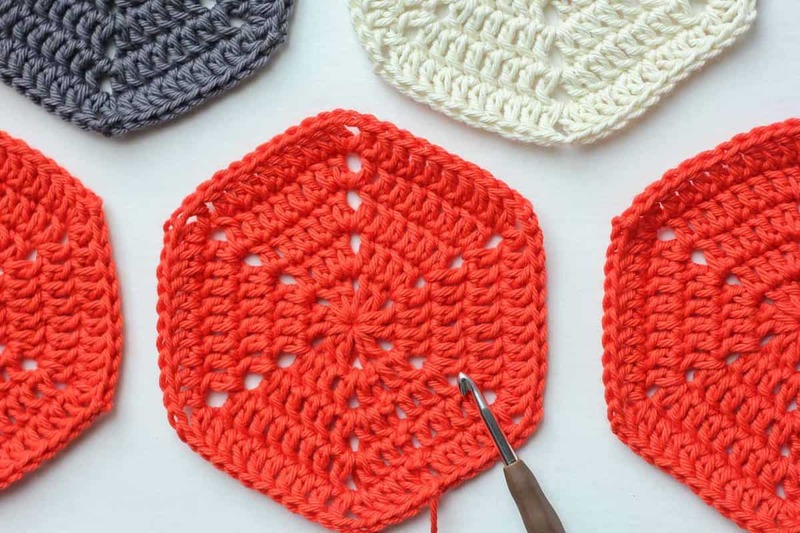 Some corner to corner crochet projects include written instructions that tell you how many tiles of each color to work in a given row. (They would look something like Row 17: 4 B, 17 C, 9 D, with each letter representing a different color of yarn.) Written c2c instructions are really helpful because the prevent you from needing to do a lot of counting on the graph. I tend to be sort of a “map reader” crocheter though so I really like to look at charts and graphs. When working a corner to corner chart, I like to use a ruler and pencil to draw lines diagonally through each row. Then I highlight each row after I complete it so that I easily know where I’m at in the graph. You can really use any yarn you’d like to c2c crochet. I have used Lion Brand Vanna’s Choice for a lot of my graphgan style projects because the color selection is so fantastic and the worsted weight works well for c2c designs. When I’m “illustrating” with yarn, I like to have as many colors in my toolbox as possible and Vanna’s Choice offers over 70 options! 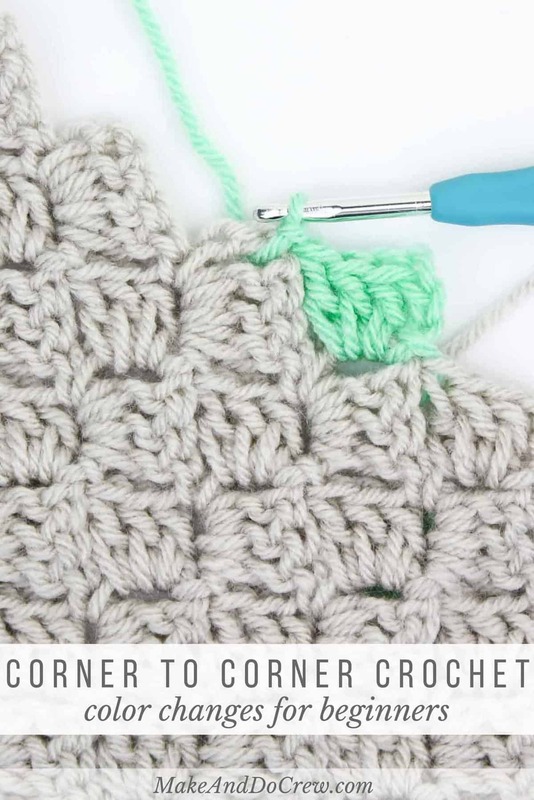 I hope this post has answered some of your questions about how to corner to corner crochet! In Part 2 of this post, I show you how to change colors with c2c crochet and how I keep all my unruly yarn under control! You can find that here! You can find all my free corner to corner patters here. 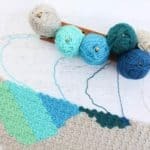 In addition to Sarah’s “Learn to Corner-to-Corner Crochet” video course, there are a few other resources I’ve found helpful in learning how to c2c crochet. 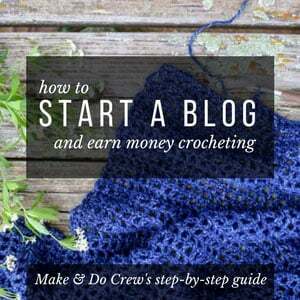 -This video by the Crochet Crowd is great for beginners who want to see the stitch in action. Mikey has a very clear way of explaining how c2c works. 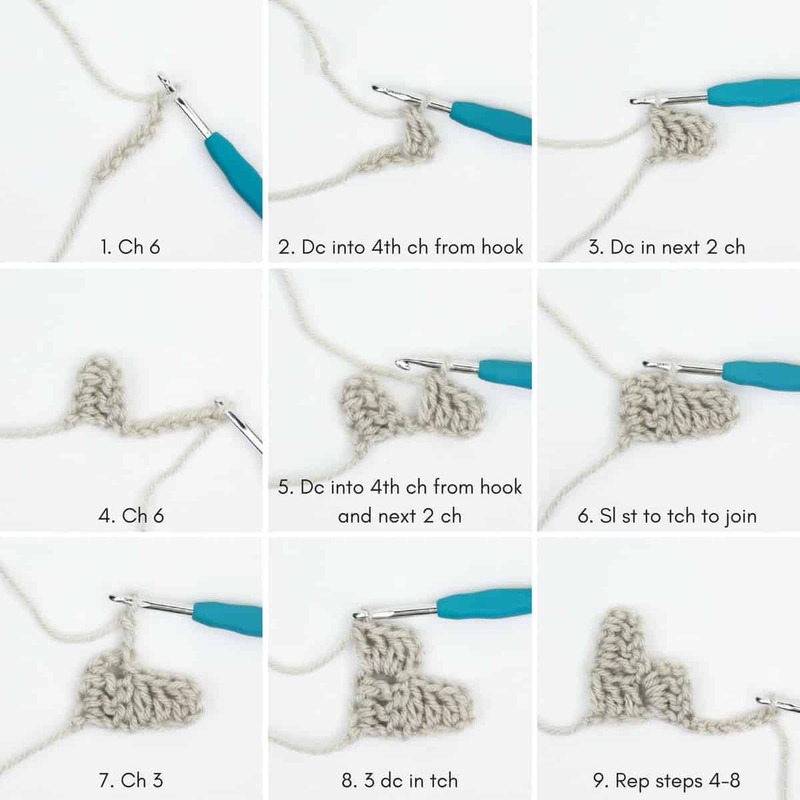 -ChiWei from 1 Dog Woof has compiled all of her corner to corner crochet resources into one helpful list. I learned a lot from her when I was figuring out how to corner to corner crochet. How can I get a c to c graft of a voltwagon. Would like to try to make one. What a fun idea! 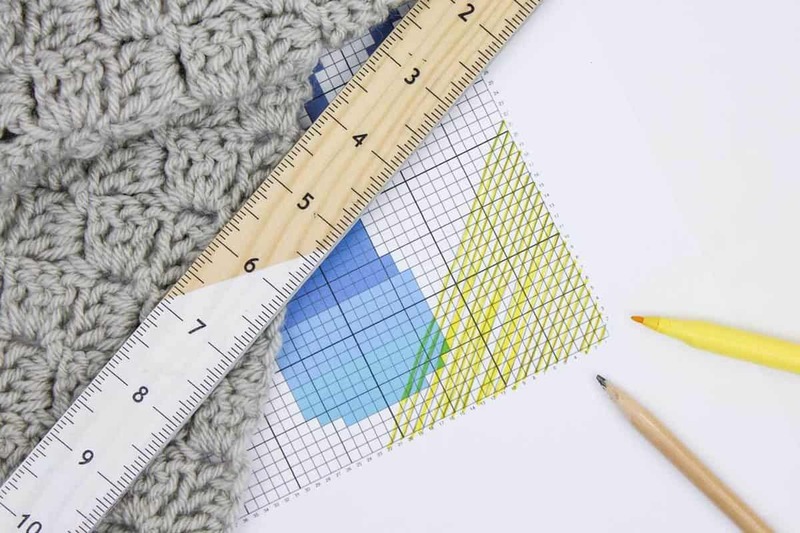 I love using StitchFiddle.com for designing c2c graphs. You can even upload a photo and design your pattern from there. Don’t know when I’ll try but I’m excited! Thank you! Yay! I hope you enjoy, Terri! I love the corner to corner pattern. Jess, your tutorials and patterns are so easy to follow please keep them coming and have a great weekend. Thank you so much. Thanks so much for your kind words, Donna. I’m so glad you’ve found your way here. C2C is one of my favorite techniques. I hope you love it too! I’m learning the c2c. How can I tell how many boxes I need to start a project? For instance, I plan to make a baby blanket to measure 40×40, how do I input this measurement into the graph? I’d really appreciate your help. I’m sorry for the delay in my response! What I usually do is make a small swatch with the yarn and hook I want to use. Then I measure how big two or three tiles are and then use that to figure out how many tiles I need for the length and width I’d like to make. If you’re using Stitch Fiddle, then you can just input those numbers of tiles to create the graph at the beginning. Hey Jess, thank you so much for your post! I have been having some trouble as I learn C2C that the hole left by crocheting into the turning chain seems more noticeable/larger than yours pictured. Do you have any tips to fix this issue? Hmm. I wonder if it’s because your turning chains are kinda loose? Sometimes I find that working three ch alongside dc stitches make the ch just a little taller than the dc. It might help to keep your 3 dc deliberately tighter so that there’s less of a gap created when you work into that space. Does that make sense? I’m learning the c2c. How do I know the right number of boxes to put in a graph for a baby blanket that measures 40×40? How exciting! I’ve loved learning c2c over the past year. If I were you, I’d create a small swatch, maybe something that’s just about 4 rows of c2c. Then I’d measure that to see how wide and tall each of your boxes is. That can give you an idea of how many boxes you’ll need to fill 40×40″. Oh gosh. Thanks for such a sweet note, Lynne. I’d love for you to try C2C! I’ve had so much fun with it. If you make something, email me a pic or tag me on Instagram! I want to see what you make! Do you happen to have an email address where I can send a few c2c questions I have? I did it!! You are the best teacher! Thanks so much for sharing. Can’t wait for you to teach me house to read a pattern! I think I will make another square. Mine is a tad wobbly. Yay! I’m so happy to hear that Mary Ann! Congrats!! Great instructions, maybe now I can finally master this stitch, thank you very much. Turning chain. So essentially, yes. 🙂 It’s the chains that comprise the very beginning of each c2c tile. Hi Jess. I wonder if you can help me. I’ve been doing a simple blanket with the C2C techinque. However I can see that the blanket it’s starting to look as if I have added more stitches so the edges aren’t straight anymore. Could you think a reason (apart from the obvious added stitch) that could create this? Jess— I’m about to start my first C2C project, I’m a little nervous. Question — I crochet left handed, does this affect how/where you start? Would I still be working from the bottom right hand corner of the piece and be going up and out? ALSO — thanks for the suggestion about stitchfiddle for photos made into graphs. AWESOME!!! I’m so glad you like Stitch Fiddle. I love it too! 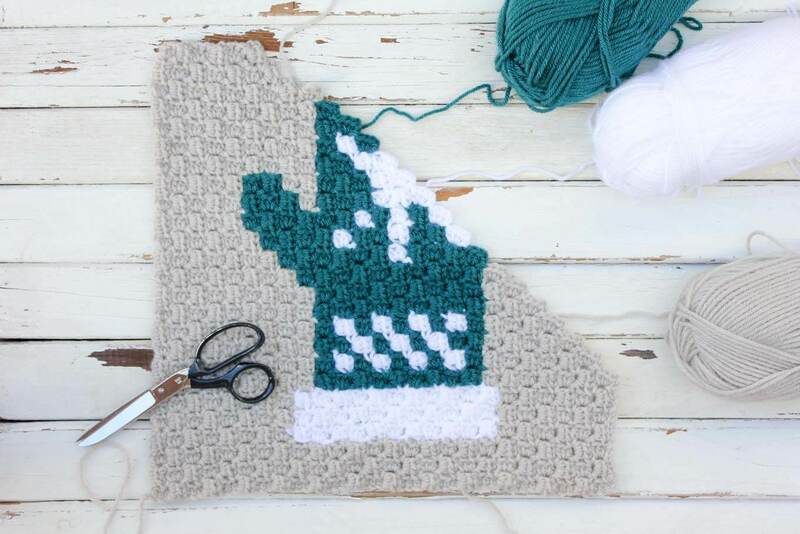 I purchased a C2C pattern but I’m having problems. I contacted the place where I purchased it from but I’m told no one can help me. I understand the increase and decrease of the pattern but for 15 rows I need to have 56 blocks in each row. Could you help me with this problem or do you of someone who might be able to help? I’m guessing you need to have 15 blocks in those rows because that helps make the rectangle shape. Is that correct? When you do that you’re usually increasing on one side and decreasing on the other, which makes the total number of blocks stay the same. I talk about that a bit in this video tutorial. I hope that helps! This is probably a stupid question but I’m about half way through my first crochet project, a C2C queen size afghan, but before I start to decrease on one side in order to do a rectangle, I want to be sure I have the correct length and width. My question is, where (which side) do I measure the length and width from? I’m a self taught lefty and this is my first attempt so I want to get it right! Hey Joyce, I totally understand why this part can be confusing. When you’re at this point, before you’ve decreased at all, you actually can turn either side into the “width” or the “height.” So I’d just choose one to start decreasing on when you’re ready and then keep increasing on the other side until it’s tall enough and then decrease at the beginning of all the rows. i just finished my first project with c2c st. Just love it It makes lovely pot holders to.. Wonderful! Isn’t it a fun crochet skill to add to your tool box? I am so interested in trying this. Have lots of yarn but haven’t crocheted in awhile. I’m left handed and always get a little paranoid how my projects will turn out. If I follow your instructions as given will it work for a lefty?? Thanks for the wonderful inspiration you provide. Can hardly wait to get my knitting needles working again too.